I just read this article and thought you might want to give it a read, too. 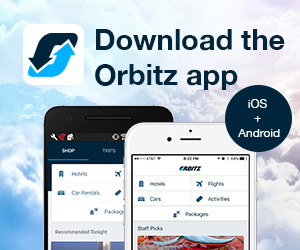 It\'s called These top resorts bring you beak to beak with sea turtles and you can find it here https://www.orbitz.com/blog/2017/05/top-resorts-bring-beak-beak-sea-turtles/. If you’re heading to Florida or the Caribbean this summer, you’ll be sharing the beach with more than just your fellow sunbathers. 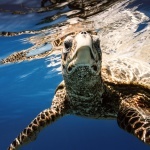 May 23 is World Turtle Day, marking the start of sea turtle nesting season and inspiring hotels to help connect guests with the delicate creatures. 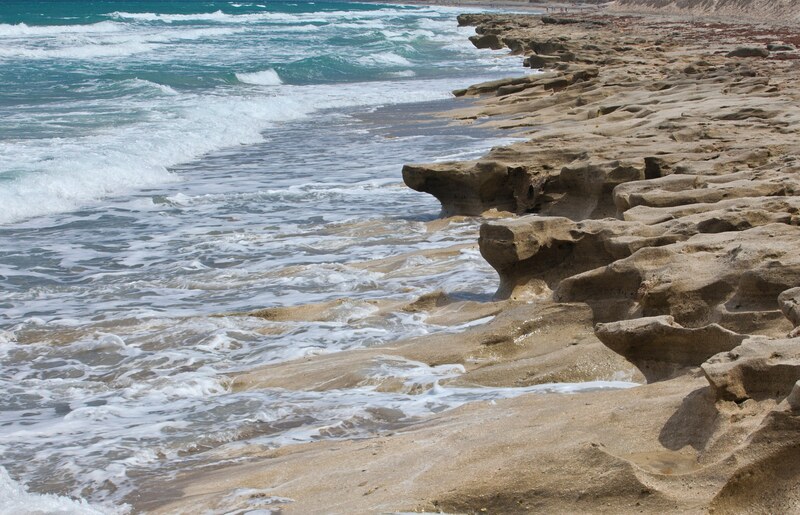 Check out these turtle walks, swims and other excursions to bring you out of your shell. It’s easy being green at Sandpearl Resort. | Photo courtesy of Clearwater Marine Aquarium. 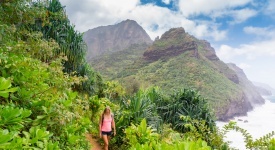 This upscale resort offers plenty of eco-friendly activities for kids, including nature walks, scavenger hunts and even yoga with its (human) mascot, Ridley the Turtle. 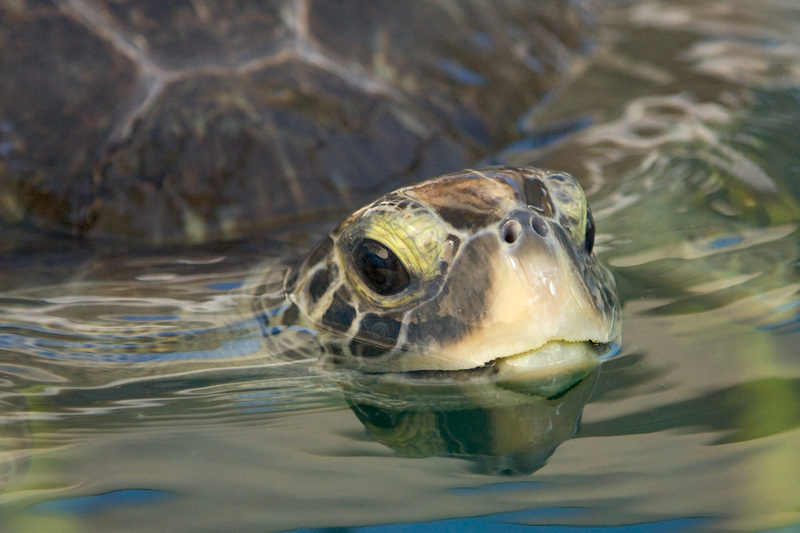 The Sandpearl partners with nearby Clearwater Marine Aquarium, where guests can visit rescued sea turtles and sponsor a sick or injured turtle through the aquarium’s Adopt an Animal program. 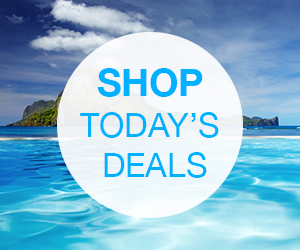 Take your Caribbean vacation to the next level with the hotel’s stand-up paddle board and turtle swim excursions. Your group will paddle out to Lone Star Restaurant—a gathering spot for both diners and turtles—then dive into the turquoise waters for a close encounter with hawksbill and leatherback turtles. Be a voluntourist at CasaMagna Marriott Puerto Vallarta Resort & Spa. Photo courtesy of Diamond Public Relations. 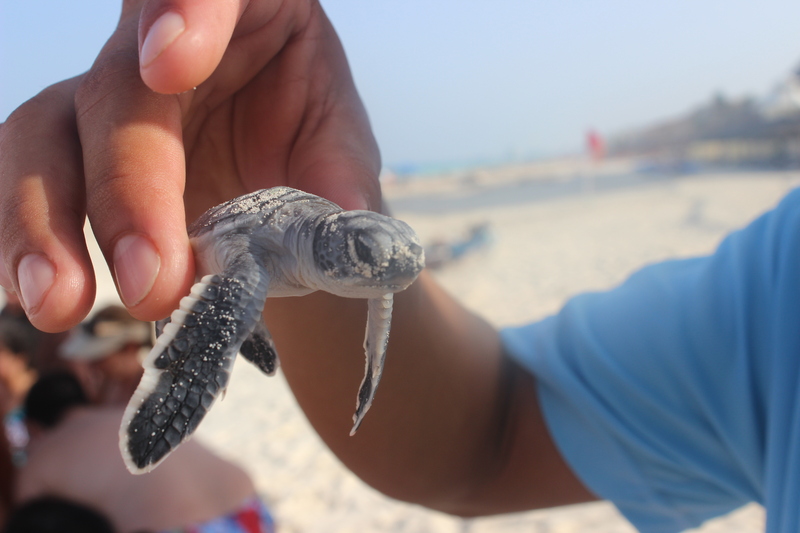 From June to December, this beachfront hotel invites guests to participate in its turtle protection program. 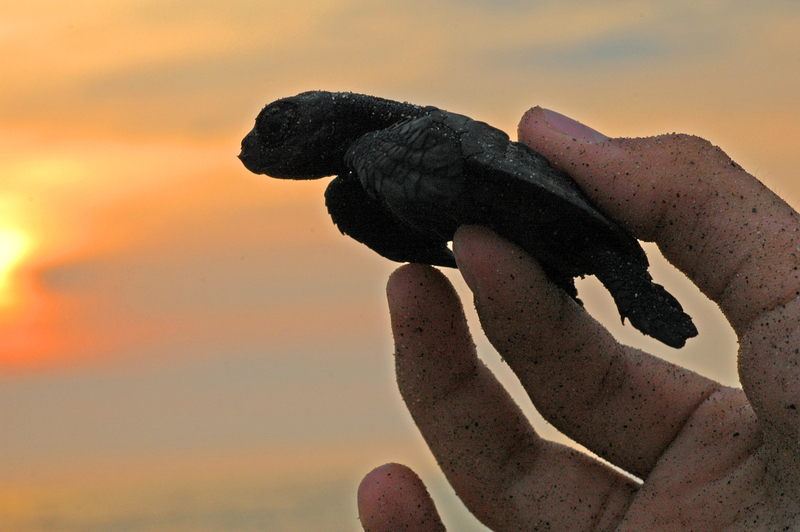 Help send newly hatched turtles into the Pacific Ocean, then return to the resort’s turtle nursery—the largest in Puerto Vallarta—for a nightly stroll with the resident biologist to monitor the nesting turtles and protect them from predators. Kids can even help name the tiny creatures. This resort on Florida’s Atlantic coast can arrange for you to take an excursion with the local Loggerhead Marinelife Center to learn about the area’s sea turtles in their native habitat. Or embark on a 90-minute kayaking or standup paddleboarding excursion in the Jupiter Inlet, where you can be on the lookout for sea turtles. Bonus: The resort’s beach is a protected turtle nesting ground. 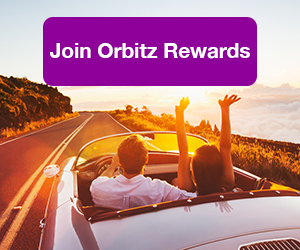 ALSO: Don’t shell out more than you need to—join Orbitz Rewards and earn instantly toward hotels! 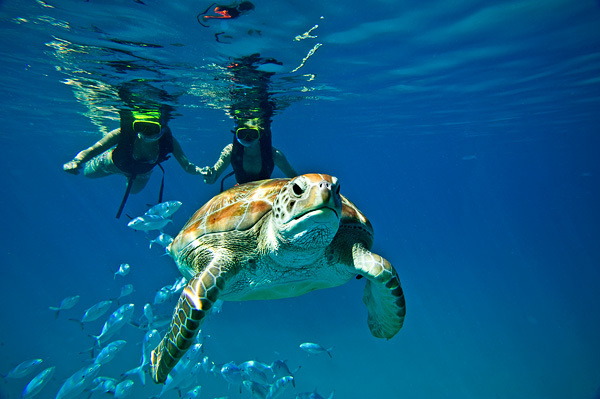 Turtle Beach Resort is family-friendly and turtle-friendly. 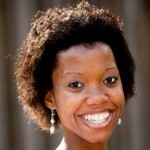 | Photo courtesy of Diamond Public Relations. 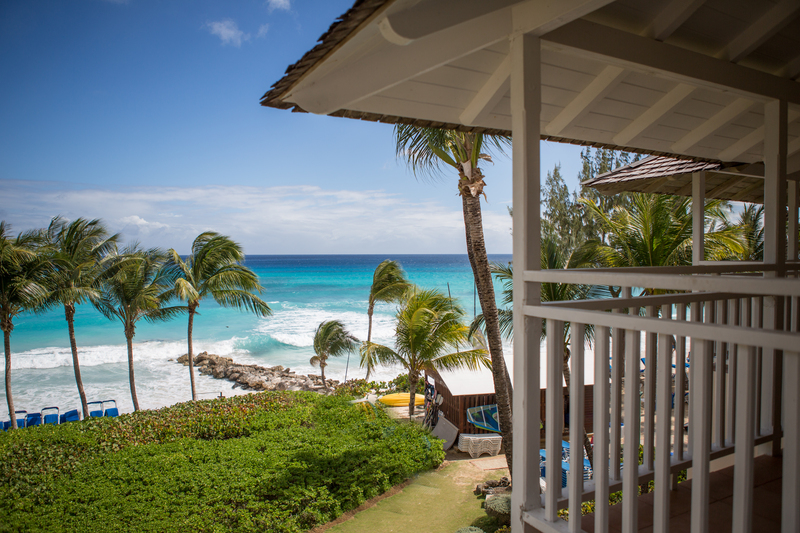 More turtles live on Barbados than any other Caribbean island, and this aptly named, all-inclusive resort is an ideal place to get up close with them. Stroll the resort’s beach to spot hawksbill turtle hatchlings, or head out on a jet ski adventure to swim with adult turtles. CasaMagna Marriott Cancun Resort and neighboring JW Marriott Cancun Resort & Spa welcome tourists—and turtles—to their beaches. | Photo courtesy of Diamond Public Relations. These side-by-side resorts share more than just a beach; they’ve also joined forces to help protect the local sea turtles. From June to September, call the concierge to find out if trained staffers will be releasing turtles on any given night. If so, you’re invited to help. Catch the resort’s catamaran to Buck Island National Wildlife Refuge, where you can snorkel in the protected Turtle Cove reef. 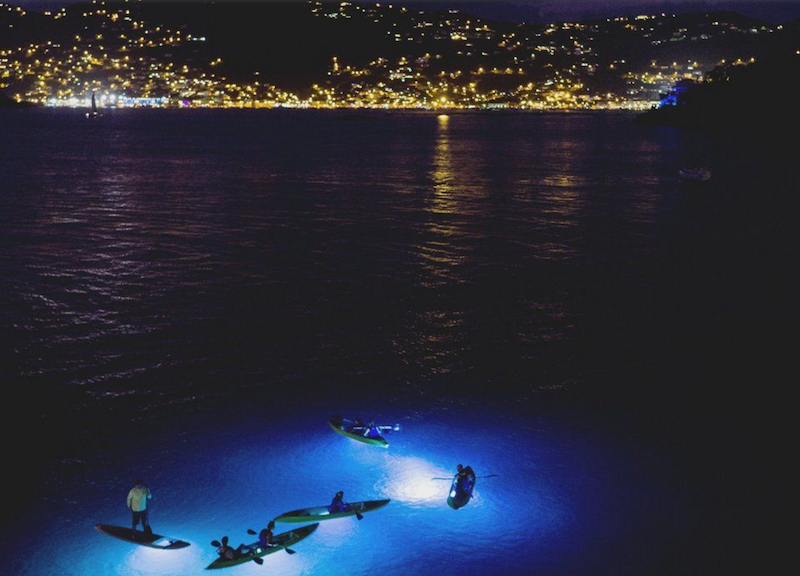 Then after dark, head for a moonlit kayaking excursion in an LED-lit boat, where you’ll observe and learn about hundreds of sea turtles and other marine life.